You no longer have to worry about bringing your big grinder when you're out and about, the Snoop Dogg V Syndicate Grinder Card goes where you go! 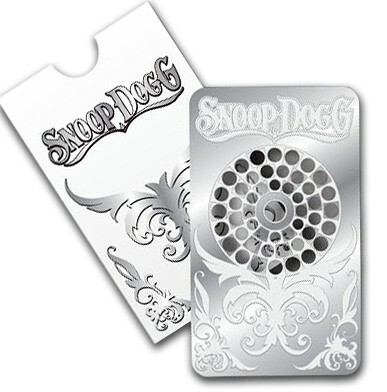 The Snoop Dogg V Syndicate Grinder Card is a multi-purpose, stainless steel grinding card that features Snoop Dogg. Easy to use, and slim enough to fit in any purse or wallet, it can go with you anywhere.